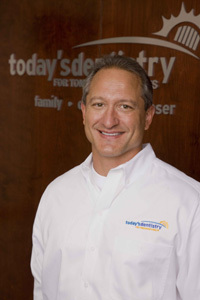 Meet Fishers Dentist - Michael P. O'Neil, D.D.S. You might not expect a former wrestler, pole-vaulter and Naval officer to have a talent for gentle precision, but Dr. Michael P. O'Neil, DDS isn't your average dentist. For one thing, he truly loves what he does. Long before earning a degree from Indiana University's School of Dentistry, or serving in the U.S. Navy as a Dental Officer, Mike knew what he wanted to do with his life. Both his parents worked in medical fields, so growing up he had lots of chances to talk with doctors and surgeons, and he was fortunate enough to have a great dentist as a kid. By the time he graduated from Notre Dame with a degree in Biology, Dr. O'Neil was already looking ahead to the day he would have his own practice – even though he understood how much work it would be. Dentistry isn't easy, as Mike will tell you: "At the end of the day, I'm worn out," he says, "… but that's the way it should be, I think. If you're exhausted that means you had a good day … that you accomplished a lot." He loves coming in each morning and he can't imagine retiring. For most folks, it's hard to imagine enjoying working on people's mouths, but the challenging nature of dentistry inspires Dr. O'Neil – and so do the results. "I love it when a patient gets up from the chair, looks in the mirror and smiles. When they look at themselves, and say "Dr. O'Neil, you nailed it!" … that really feels good." In the quest to improve his patients' results, Mike constantly studies new technologies as they become available. When fewer than 3% of offices were doing laser dentistry, and the CEREC restorative system was just as rare, Today's Dentistry had both. But it's not about competition – he shares his experience and expertise with other dentists, to help them better serve their patients. Dr. Joe Holland’s journey to the dental profession was anything but typical. Before dedicating his life to taking care of his patient’s oral health, Joe spent his time trying to knock out his opponent’s teeth on the football field. A standout linebacker for the Purdue football team, he served as captain of the team while excelling academically. Joe’s efforts earned him Academic All-American honors, recognition as a National Scholar Athlete and, most importantly, acceptance to the Indiana University School of Dentistry. His dental education was put on hold when he was signed by the San Francisco 49ers after his final season at Purdue. During his two year NFL career, Dr. Holland also spent time with the Miami Dolphins and the Tampa Bay Buccaneers. Playing in the NFL was a dream come true, but he never lost sight of his ultimate goal of becoming a dentist. 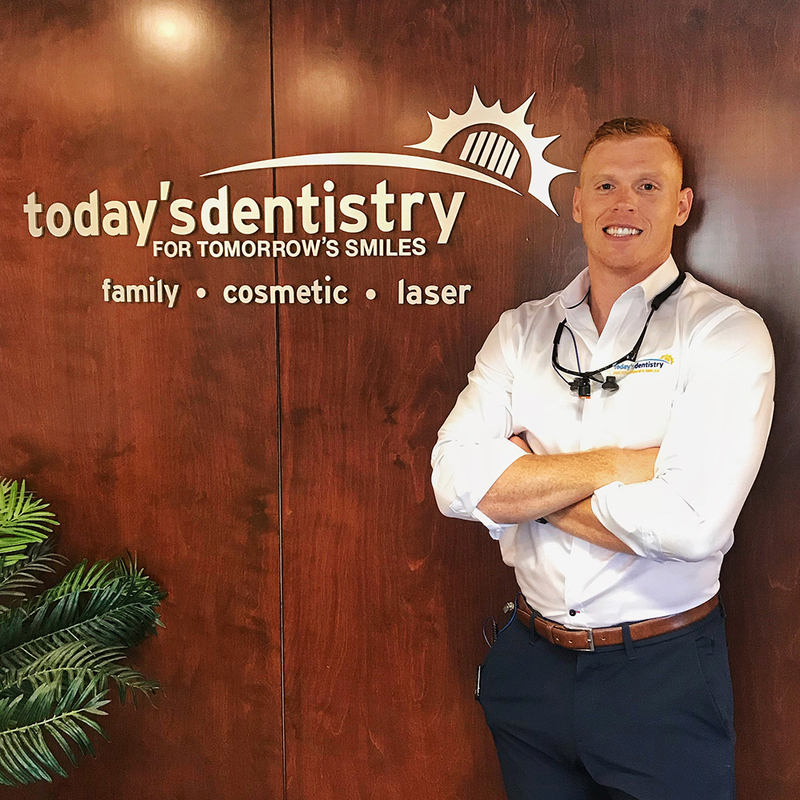 After he hung up the cleats, Joe enrolled at Indiana University School of Dentistry where he developed his passion for quality, comprehensive dental care. While in dental school, Joe was awarded a scholarship in recognition of his outstanding rapport with his patients, faculty, and his fellow students and was selected as an instructor for the first year dental students. Joe loves the opportunity the dental field provides to interact with patients and serve the community. He is thrilled to join Dr. O’Neil and his team at Today’s Dentistry and is looking forward to getting to know the wonderful patients who call this practice their dental home.